Sunrider’s VitaShake® is a whole food concentrate enhanced with vitamins and minerals in a delicious powder form. 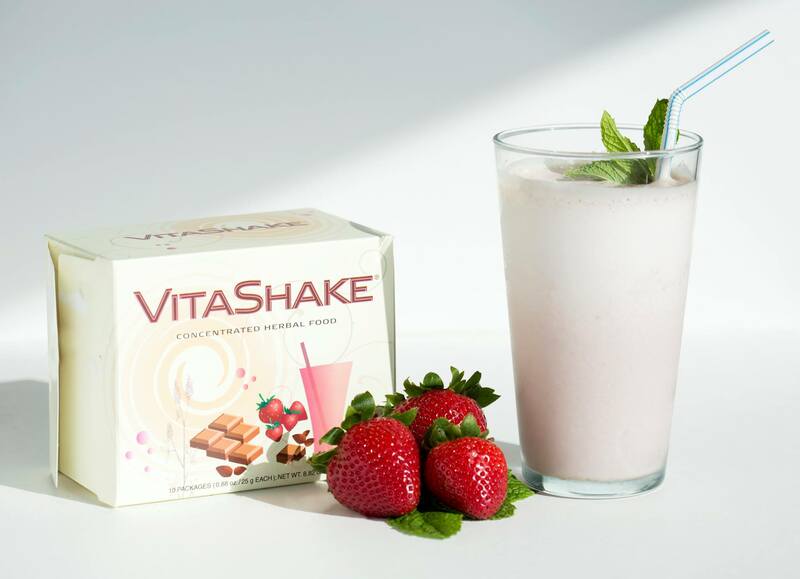 VitaShake® helps fill in the nutrition gaps you may have in your diet with the added benefit of whole fiber. Sunrider VitaShake – Concentrated Herbal Food! Shake up your old, boring, been-there-drank-that meal replacement and go nuts! Make this supercharged, super low-cal berry blissful, coconut concoction your new weight-maintenance must-have. Power-packed with vitamins, minerals, and soy protein, it’s pure whipped, creamy deliciousness in every sweet, satisfying sip! Say hello to endless, heavenly summers! I just love the feeling of strength that I get when enjoying the Sunrider Vitashake! I mix it with water, a few drops of Sunrider SunnyDew and I am ready to go! 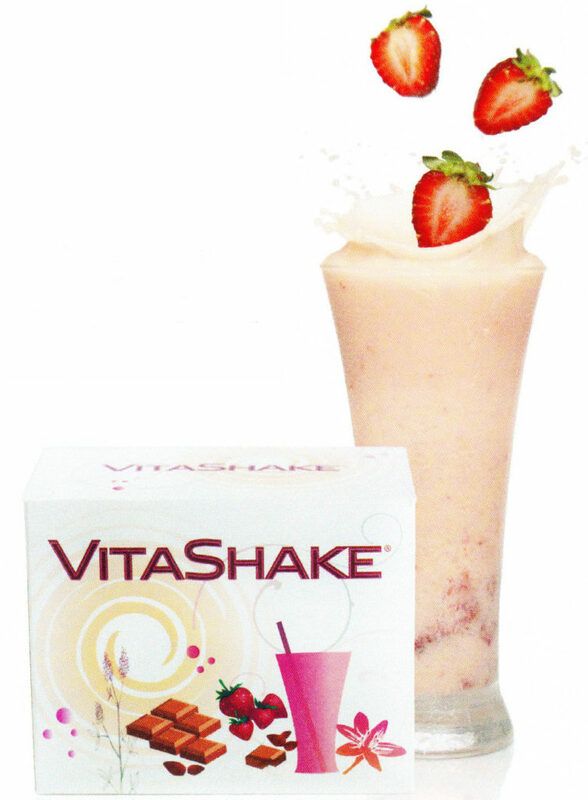 I have it before working out, as a healthy fast snack to hold me till a meal, I enjoy the Vitashake after a workout or just in the evening when I do not want to eat something heavy before I go to sleep at night. Love the taste and the easy convenient way It come packaged! 1. Add all ingredients and mix until smooth, enjoy! Unlike other brands that contain chemically processed or animal-based protein powders, our fermented soy protein in VitaShake® is similar to super-concentrated tofu. This makes VitaShake® a wonderful nutritious shake for young and old people who require easily digestible food. Read more in the official VitaShake® flyer. At the age of 41, feeling weak, thin, and low on energy because of unhealthy choices I made in my younger years, I realized I needed to change my lifestyle if I wanted to live a long, healthy life. I began eating healthier and working out to increase my muscle mass. Everyone at he gym used t protein powder drinks, so I thought I should do that too. When I drank these, though, my stomach bothered me; I felt bloated and had low energy after workouts. In November of 2009, I was introduced to Sunrider, a whole food company. The first time I put these powerful foods in my body I knew I had found something different from anything else on the market. After six months, I lost 17 lbs. 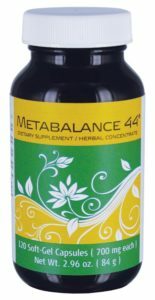 of fat, my muscle mass increased, and I no longer suffered from digestive problems. In October of 2011, I completed in my first body-building competition. Fueled by Sunrider nutrition, I won fifth in the light heavy weight class for men 25 and over. This advanced me to provincials where I won fourth in the masters class for men over 40. Form here, I advanced to nationals. While the other guys struggled with hunger and low energy, I didn’t experience that . 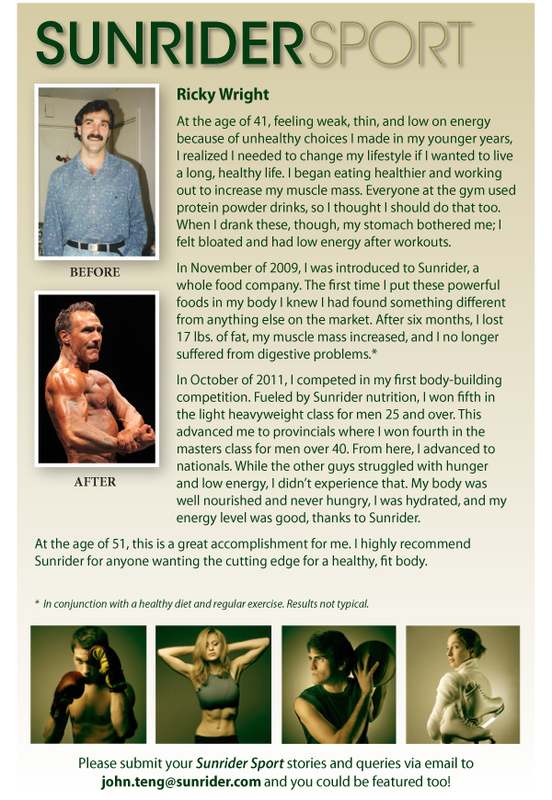 My body was well nourished and never hungry, I was hydrated, and my energy level was good, thanks to Sunrider. At the age of 51, this is a great accomplishment for me. I highly recommend Sunrider for anyone wanting the cutting edge for a healthy, fit body. Be the first to review “VitaShake” Click here to cancel reply.